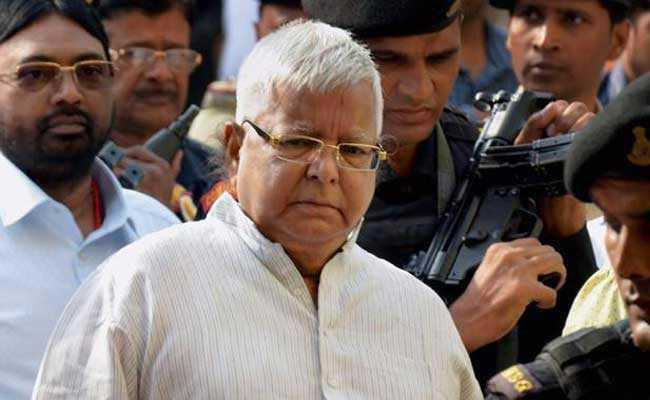 Lalu Yadav is among 16 people who have been convicted today in a case related to embezzling of more than Rs 89 lakh from the Deoghar Treasury between 1991 and 1994. Former Bihar chief minister Jagannath Mishra and five others have been acquitted by the court. As a special CBI court in Ranchi held Lalu Yadav guilty in a fodder scam case this afternoon, the former Bihar chief minister's Twitter account immediately sprang into action. While visuals emerged of Mr Yadav, 69, being brought out of court by the police, his Twitter posted that truth may be made to appear as a lie, in the end it will always prevail. "Truth can be made to appear as a lie, as ambiguous or a half lie by concerted onslaught of bias driven propaganda. But blurred layer of bias and hatred will still be removed, come what may! In end Truth will win (sic)" he tweeted. In follow up posts on the micro blogging site, the Rashtriya Janata Dal or RJD chief invoked Nelson Mandela, Martin Luther King and Baba Saheb Ambedkar, saying had they failed in their efforts, history would have treated them as villains. Had people like Nelson Mandela, Martin Luther King, Baba Saheb Ambedkar failed in their efforts, history would have treated them as villains. They still are villains for the biased, racist and caste-ist minds. No one should expect any different treatment. “You can harass me, but you can’t defeat me,” he also tweeted in Hindi. Mr Yadav is among 16 people who have been convicted today in a case related to embezzling of more than Rs 89 lakh from the Deoghar Treasury between 1991 and 1994. Former Bihar chief minister Jagannath Mishra and five others have been acquitted by the court. Lalu Yadav, after the verdict, was immediately taken into custody and then taken to Birsamunda Jail in Ranchi. The sentencing in the case will be on January 3. Initially, there were 34 accused in the case, out of whom 11 died during the course of the trial, while one turned approver and admitted to the crime. The RJD chief is already convicted in another fodder scam case that cost him his Lok Sabha seat and disqualified him from contesting elections. In October 2013, Mr Yadav was found guilty of charges of embezzling Rs. 37 crore. 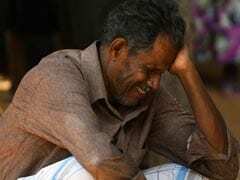 He received bail from the Supreme Court after spending two months in jail.